Amanda stewards and facilitates partnerships between the university, students, and the community. Taking into account the expertise and needs of potential partners, she forms new connections between Ginsberg’s various stakeholders, and she fulfills daily administration needs to ensure that existing partnerships continue to thrive. In addition, Amanda supports Ginsberg’s curriculum development and workshops for students and university partners. Read more about Amanda Healy, Ph.D.
Ashleigh’s role is to develop and steward partnerships with community organizations and institutions in Detroit. This is a dual-role at both the Ginsberg Center and Poverty Solutions. 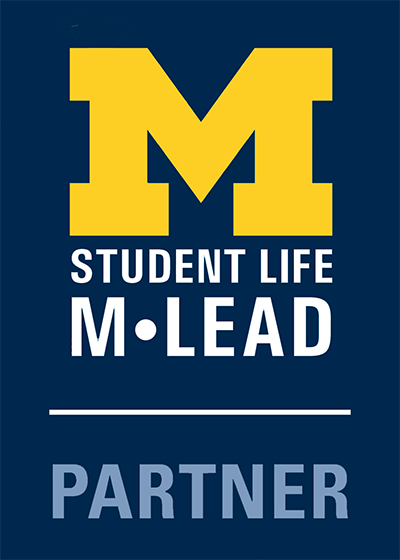 She aims to facilitate mutually-beneficial, sustainable relationships between Detroit community partners and a wide range of faculty and student groups at UM. As the Community Programs Coordinator, Brianna provides administrative and program support for two community-engagement initiatives: Community Technical Assistance Collaborative (CTAC) and Michigan Engaging Communities through the Classroom (MECC). CTAC is a community-university partnership convened to address community partners’ universal need for data and evaluation. Working with CTAC, Brianna coordinates evaluation and data projects at the university, including team meetings, student preparation, assessment, and logistics. Danyelle's role includes supporting students and student organizations in leadership development through community engagement. She fosters student learning and development through trainings and consultations with student organizations, working with them to advance their goals and meet community-defined needs. Additionally, Danyelle is part of a team that collaborated to create a new massive online open course (MOOC) entitled Community Engagement: Collaborating for Change. Dave provides strategic and administrative leadership to the Ginsberg Center which includes work with staff, students, and Ginsberg programs. His primary goals focus on building sustainable infrastructure for equitable campus-community partnerships, staff development, increasing student learning, and building authentic relationships with community partners that lead to positive results. Erin leads the Big Ten Voting Challenge, a competition to increase student voter registration and turnout across the Big Ten Conference. Her work also focuses on diversifying the pipeline of future candidates for public office, and advancing civic dialogue through the WeListen Staff Series. Julia oversees all of Ginsberg’s marketing initiatives, including our newsletter, social media efforts, website content, and writing and sharing our stories with campus, community, and beyond. Julia works to make sure Ginsberg’s branding is clear and consistent and conveys the myriad of ways in which we are working towards social change. Maria assists the Ginsberg Center with finances, human resources, and care of the building. She also supervises Ginsberg's student building managers. In partnerships with youth and communities, Mary Jo Callan has spent her career working to advance equitable access to social, political, and economic power. She served in K-12 schools, local governments, and nonprofits prior to coming to U of M. Her time at Ozone House, a youth development and housing organization, was particularly formative as she learned alongside young people to stand up, organize, and persist for change. As an Associate Director, Neeraja contributes to the strategic leadership of Ginsberg as part of the executive team. Neeraja leads Ginsberg's work with academic partners, supporting faculty, academic program staff, and graduate students who want to integrate community engagement into their courses, research, and programs. She administers the Ginsberg Center's Faculty Grants program, serves on the editorial team for the Michigan Journal for Community Service Learning, and supervises 15 doctoral students from across the University. Read more about Neeraja Aravamudan, Ph.D.
Nick’s role is to develop and support faculty and staff from academic and nonacademic units across the University to collaborate in their work with community organizations and institutions. This is a dual role at both the Ginsberg Center and the Vice Provost for Global and Civic Engagement. Nick aims to enable and encourage cooperative and dynamic relationships between University and community partners. Raven serves as the program manager for America Reads and laeds the Ginsberg Center's literacy-focused work. In addition to training and coordinating student tutors, raven's work involves communicating with U of M faculty and school districts' curriculum coordinators to better enhance the literacy skills of students in Washtenaw County and Wayne County. She also organizes Ginsberg's Family Literacy Nights and Readers and Best initiatives. Sara develops and stewards partnerships with non-profits, schools, government institutions and other social sector agencies. Through active engagement with the local community, Sara works to connect community priorities and needs with U-M teaching, research, students and other resources. In addition, she supports Ginsberg's Community Advisory Board, provides oversight to the Connect to Community volunteer portal, serves on the Washtenaw County steering committee for summer youth employment and co-chairs the Student Life Beyond University Sidewalks (B.U.S.) program. Sarah is serving at the Ginsberg Center as an AmeriCorps VISTA member of the Michigan Community Service Commission. Her work focuses on strengthening local community engagement efforts, with a particular focus on youth. Sarah supports Ginsberg’s collaboration with Eastern Michigan’s VISION Center and the United Way of Washtenaw County to build capacity around volunteer management. She also assists statewide efforts to better connect youth to supportive services in this region. Stephanie supports student organizations in leadership development through positive community engagement. She builds relationships with students across campus to enhance their goals for social action and community engagement while meeting community identified needs. Stephanie manages the Ginsberg Alternative Break Grant process and provides consultation and training to student groups involved in Alternative Breaks.  She also serves as the advisor for the University of Michigan Active Citizens Alternative Spring Break Program. Alison is a 2nd year Master's student in Health Behavior and Health Education in the School of Public Health. She is from Grand Rapids, MI and is a vegetarian and loves cooking, reading and being outdoors. She is passionate about health literacy and equitable sexual health education and hopes to gain a deeper understanding of the work that goes in to managing a large program like America Reads this year. Alison is working as the Graduate Assistant for America Reads through the Ginsberg Center. Allison is a PhD candidate in sociocultural anthropology studying the impacts of climate change on high altitude communities in Peru. She is originally from coastal Maine and loves spending time outdoors-- hiking, swimming, and kayaking when she can get the chance. Allison is passionate about environmental and sustainability issues, and interested in storytelling and ethnography as methods for community engagement and social change. Alyssia is currently working towards her Master's of Social Work. She is from Detroit and likes to read and write for leisure. She is passionate about the social justice issues of the school-to-prison pipeline, education equality, and uplifting low-income urban communities. Alyssia is involved with Association of Black Social Workers and the National Association of Social Workers. This year, she hopes to learn more about the exciting things the Ginsberg Center is doing and how she can best support its vision. Ann is a first year Master's student working towards her degree in Social Work. She is from Zionsville, IN and likes Yoga/fitness, exploring new restaurants and shops, and cooking/baking. She is passionate about immigrant rights, child welfare, and educating others about the value of diversity.Through Ginsberg, she hopes to learn more about what community organizing and engagement looks like and to grow facilitation skills through giving workshops and working with student groups. Cait is a first year graduate student in her Master's of Social Work. She is from Ypsilanti, Michigan and likes to Run, read, and climb. She is passionate about environmental justice and the response to natural disasters and marginalized communities. This year, she hopes to gain insights into student development and empowerment. She works with Alternative Breaks and We The People Growers Association here on campus. Camron is in his 4th year of his PhD in political science. He is from Clarkston, Michigan and enjoys listening to podcasts and hanging out with his dog. He is passionate about promoting democratic access and increasing K-12 education support. Through the Ginsberg Center, he hopes to learn how to take a big picture goal, like the Big Ten Voting Challenge, and turn it into manageable steps. He works with the College Democrats, Roosevelt Institute, and Barger Leadership Institute at the Unversity of Michigan. As the Journal Manager, Cecilia manages administration for the Michigan Journal for Community Service Learning, published by the Ginsberg Center, including communication with authors and reviewers. She is PhD Candidate in English Language in Literature in her fourth year. She is from Sugar Land, Texas and enjoys dog mothering, cycling, and crocheting. 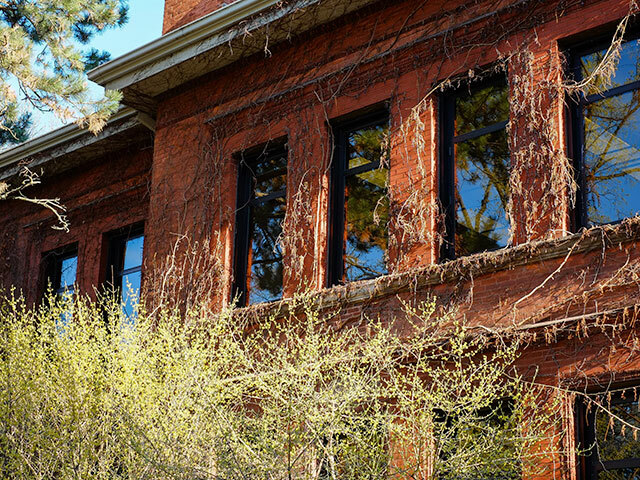 Cecilia is looking forward to serving the Ginsberg Center's mission to create meaningful community partnerships by expanding the audience and vision of the Michigan Journal for Community Service Learning. Ebony is in her 2nd year of her Sociology PhD and Epidemiology MS looking at how social contexts shape health and illness distribution and disparities and the study of human social contexts, structures, and functioning. She's from Bridgeton, New Jersey and enjoys baking, hiking, and watching movies. Emily is in her 3rd year of her PhD in linguistics studying how bilinguals process words in real time and how language systems work. She's originally from Pittsburgh and enjoys dancing, board games, and musicals. She's passionate about linguistic discrimination, particularly within the Latino community here in the U.S. As a Liaison, Emily facilitates workshops for students, contributes to workshop curriculum, and works with the SERVE team to support co-curricular student learning. Gabbi is a first year Master's student in Social Work: Community Organization. She is from Sault Ste. Marie, MI and enjoys reading, writing, and making food with family and friends. She is involved with the Program Evaluation Group and Global Activities Scholars here at UM. Gabbi is passionate about accessibility of resources and opportunities as a social justice issue. Through Ginsberg, she hopes to better understand the engagement model as it stems from the community and feeds into a wider population willing to serve. Jallicia is a 5th year Ph.D. student in American Culture and enjoys spoken-word poetry and volleyball. She is passionate about fighting health inequalities, particularly those surrounding HIV/AIDS, and is an active advocate for access to reproductive justice. In her work at the Ginsberg Center, Jallicia is excited to gain experience in how to concretely apply her graduate training and to enhance her knowledge of engaged pedagogy and doing publicly engaged work around equity. Justin is in the Center for the Study of Higher and Post-Secondary Education. He is from Ann Arbor and is involved in the Huron Valley Area Labor Federation, Michigan-Connect (Office of Academic and Multicultural Initiatives), and LSA Transfer Initiatives and Partnerships. He loves to watch Michigan Football, spending time with family and friends, and I love to learn (I can find anything interesting). Kate is in her third year of her PhD in American Culture where she is studying the history of eugenics (in Michigan) through a critical disability lens. She is from Plymouth, Michigan and likes reading, swimming, and spending time with her rescue dogs. She is involved with GEO- Disability Caucus and the Michigan Lupus Foundation. She hopes to learn more about community/university partnerships and how to bring graduate students into those partnerships through the Ginsberg Center. Katherine is pursuing a Masters of Design in Integrative Design with the Stamps School of Art and Design at UMich. Katherine is a two term AmeriCorps Alum and her professional practice includes policy work in public health, education, criminal justice, civic engagement, and the environment for organizations including Community Health Center, Inc., Equal Justice Works, and Public Allies Connecticut. Katherine is a 2016 StartingBloc Fellow, 2017 New Leaders Council Maryland Fellow, and holds a B.A. in Art History, minor Sociology from the University of Connecticut and a M.P.P. Katie is in her fourth year of her PhD in educational studies where she is exploring how to support teachers in their integration of literacy and social studies instruction and empowering teachers to provide equitable and engaging learning opportunities. She is from Ann Arbor and Vermont and enjoys going on outdoor adventures with her twin toddlers and traveling to visit family and friends. She wants to help to provide rich and engaging opportunities for ALL students to engage in civic education. Madi is a second year Master's student in applied economics. She is from Michgian and likes volunteering, traveling, and taking herpup for walks around downtown Ann Arbor. She hopes to contribute to building a student community that is actively participating in building a better world for one another through the Ginsberg Center. She is involved with Student Relations Advisory Committee and the Rackham Integrity Board here at UM. Marianna is in her 3rd year of her PhD in Design Science focused on the design of products for the world's poorest populations and the science behind the inter-discipinary process of making things. She enjoys volleyball, cooking, building cool stuff and works with Center for Socially Engaged Design and Peace Neighborhood Center on UM campus. She is currently exploring how to be a passionate social justice advocate for causes such as racial discrimination and discrimination based on religion. Mary is from Ypsilanti, Michigan and is a graduate student studying Romance Languages and Literatures as well as an instructional consultant at the Center for Research on Learning and Teaching. In addition, she works with several organizers to run a free self-defense weekly training space. Her three favorite hobbies and activities include martial arts, gardening, and spending time with friends and animals. Mary is passionate about environmental justice, racial justice, and gender and LGBTQ justice. Megan is a first year student in Social Work: Community Organizing. She is from Pella, Iowa and she always looking for ways to get outside, but she particularly enjoys camping, hiking, and running. She is interested in the intersection of environmental and social justice issues and passionate about issues surrounding housing and homelessness. At Ginsberg, she's eager to learn more about partnerships between universities and the communities in which they are located. In addition, she hopes to learn more about the service learning model. Naomi is in her 4th year of her PhD in Educational Studies/Foundations and Policy and her research is in Black activism, education, and democratic participation in urban cities. She is from San Diego, CA and loves to read love novels, dance, and listen to music. She is passionate about access to equitable and quality education of Black families and is involved in Rackham Student Government, Bias and response team, and Detroit youth activists. As a Liaison, Naomi facilitates workshops for students and contributes to workshop curriculum. Nora is working towards her Master's of Social Work this year. She is from Beverly Hills, Michgian and loves to dance with my friends, listen to a variety of music genres, and enjoy great food. She is passionate about furthering diversity, equity, and inclusion efforts on college campuses. Nora works with Dean of Students Office, Latinx Social Work Coalition, and Global Activities Scholars Program. This year she hopes to learn how to engage with undergraduate students and grow in her self-confidence along the way! Rachel is from New York and is a 4th-year PhD student at the University of Michigan studying English Language and Literature. Currently, she is involved with 826michigan, the Prison Creative Arts Project (PCAP), and the Nineteenth Century Forum. Some of Rachel's favorite hobbies and activities include ultimate frisbee and drawing. Samuel is a graduate student in Social Work. He is from Lewiston, Maine and enjoys being outside and near the water, watching a great Netflix show, and cooking. He is passionate about reducing the number of incarcerated juveniles. Samuel is a part of Community Technical Assistance Collaborative (CTAC) and is excited to to gain experience and exposure in community centered consulting, program evaluation, and management. Scott is in his second year of his PhD in Chemical Biology using computational and mathematical models to study cancer metabolism. He is from San Francisco and likes to play the piano and guitar, running, and traveling. He is passionate about digital equality and education and is involved with InnoWorks as the financial director. As a Liaison, Scott facilitates workshops for students, contributes to workshop curriculum, and provide data analysis support for the Academic Partnerships team. Seanna is in her sixth year of the Combined Program in Education & Psychology. She's from Arkansas and enjoys reading, cooking, and doing new things with her kids. She's involved in the Center for the Study of Black Youth in Context, AGEP, and the National Center for Institutional Diversity. She is passionate about the African American community, movements around police violence (#BLM, #SayHerName), violence against the trans community, and issues around black women's health. As a Liaison, Seanna facilitates workshops for students and contributes to workshop curriculum. Suzanne is a PhD candidate in mechanical engineering researching ways to improve how we design sustainable products and services by modeling post-purchase usage. She's from South Jersey and enjoys hiking, camping, reading, and climbing. Through Ginsberg, Suzanne is interested in learning and teaching best practices for respectful and equitable community engagement, especially for needs-finding in design. She works with MEGC and TBP on campus and is passionate about poverty alleviation with the community leading the way. Taru is from India and is a 2nd-year graduate student at the University of Michigan studying Urban Planning. Currently, she is involved with Inclusive Cities and Janmadhyam. Some of her favorite hobbies and activities include making films, traveling, and street-gazing. Taru is interested in participatory planning and community engagement, and feels strongly about creating inclusive and just societies. Adam is a senior studying Data Science from Wixom, MI. He enjoys playing and watching sports, and hanging out with friends and family and is passionate about how athletes can use their platforms to fight social injustice. This year, he hopes to learn and contribute to some of the Ginsberg Center's programs. Adam is involved in Michigan Data Science Team and Theta Chi Fraternity. Adam is a member of the Center's front desk staff. Angelina is a sophmore majoring in English from Algonac, Michigan. On campus, she works with The Tab, Italianissimo, Red Cross. She enjoys reading, writing, and spending time with family. She is passionate about challenging mental health stigmas and stereotypes and believes that mental health is just as important as physical health. Through the Ginsberg Center, Angelina hopes to gain valuable work experience in a setting that stays engaged with the community and learn more about how to connect with the community in order to advance social change and apply these skills in the future. Christian is from Grand Ledge, Michigan. He is a sophomore here at the University of Michigan studying Sports Management. Currently, he is involved as a member of the University of Michigan Track and XC Team, with the Ginsberg Center as a building manager, and hope to join the Sports Business Association. Some of his favorite hobbies and activities include running, spending time with my family and friends, and outdoor activities like camping. Christian is a member of the Center's front desk staff. Eljonna is from Detroit, Michigan and is a sophomore at the University of Michigan. She is involved with Brains Beauty Benevolence and the University of Michigan Black Student Union. Eljonna's favorite hobbies include volunteering and conducting research that will have an impact on her local community. She is passionate about social justice issues that center around the youth, like health disparities that might impact populations of children living in food deserts. Natalie is a sophmore in LSA from Beal City, Michigan. She is a part of Alpha Phi Omega, a service fraternity on campus and enjoys volunteering, going to U of M sporting events, and trying out different restaurants in AA. She hopes to learn more about the Ginsberg Center and how it benefits the surrounding community along with strengthening my communication and time-management skills. Sharanya is a senior working towards a Dual Degree International Studies and Art and Design. She is from Rochester Hills and enjoys swimming, chess, and public speaking. She is passionate about the political, social, and economic equality of women and people of color and works as the External Vice President of Phi Gamma Nu and Visual designer at Go Vote Local and Guerilla Politic. Through Ginsberg, she hopes to develop a set of skills that will technically and professionally enable her to transition into a fulltime job in political graphic design after graduation. Tori is a senior studying psychology with an emphasis in marketing. She is from Plymouth, Michigan and enjoys poetry, backpacking, and traveling. On campus, Tori is involved with Camp Kesem at the University of Michigan, Kappa Alpha Pi Professional Fraternity, and Alpha Delta Pi. This year, she is looking forward to helping build and spread awareness around Ginsberg's brand and our resources for the community.